Ready clay plaster mixes are a suitable solution for both the 1st / 2nd layer exterior / interior coating and the finishing. The mixes for the different layers are made by specialists in appropriate proportions of sand, clay: straw chop. It is necessary to add only water to obtain the required plaster density. The most important feature of the plaster in terms of the indoor climate is its ability to regulate the relative humidity of the air. Thanks to their diffusion and accumulation capabilities, Czech plasters absorb water vapors from the air in case of higher humidity in the room and on the other hand they are able to moisten the air when it is too dry. Clay plasters are able to absorb significantly harmful substances that cause allergic problems to people, as well as kitchen smells, cigarette smoke and others. Clay plasters preserve wood when used in wooden constructions or repairs because they are able to maintain their constant natural humidity and last but not least they have excellent heat storage capacity. HH04 is finely ground clay for interior plastering. Used for 1st and 2nd layer with a thickness of up to 4 cm. HJ02 is a "finishing" layer with a thickness of up to 5 mm - again for the interior. Application on galvanized rabbit mesh. It is also possible to machine turbo-dosing. 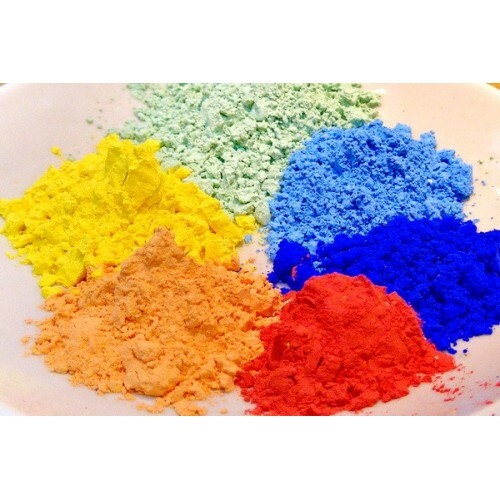 Pigments can be added up to 5% of the total weight of the mixed clay mixture. Price for clay: 600 BGN / ton excluding VAT and transport. 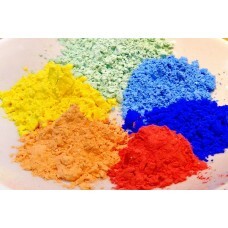 Price for pigments: from 30 to 100 BGN / 30 kg. excluding VAT and transport (over 30 different colors). TADELAKT lime plaster - 18 kg.